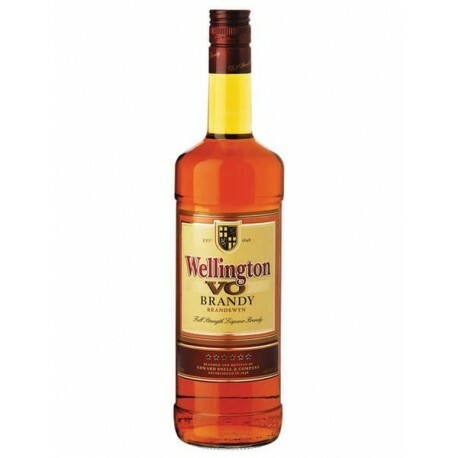 Wellington VO is a true South African icon and one of the top selling spirits in South Africa. One of the only natural Brandies on the market, means no bonificateurs (flavouring agents) are used in the production of Wellington VO Brandy. A combination of specially selected Colombard and Chenin Blanc wines are distilled in 1000 litre pot stills, guaranteeing a deep concentration of aromas. Being a blend of 3 and 5 year old brandies, Wellington VO distillate is matured in small, 300 litre, oak barrels. This traditional process ensure a rich brandy that is very compatible with a variety of mixers.